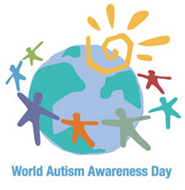 The ninth annual World Autism Awareness Day is April 2, 2017. Every year, autism organizations around the world celebrate the day with unique fundraising and awareness-raising events. The theme this year is “Toward Autonomy and Self-Determination.” Follow people’s experiences with Autism Awareness on social media with the hashtag #LIUB. In recognition of this year’s observance, we’re happy to make the following scholarly journal articles free to access online until April 12. « Stop by Berghahn Books at ASEH 2017 Conference!